Roaming the streets dressed up as zombies and ghosts while collecting bucketfuls of sweets is one of the great pleasures of childhood. I wouldn’t dream of suggesting you should forbid your children to join in or take away their bounty. 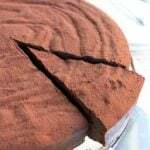 It’s best to take a deep breath and remind yourself that it is more important to reduce sugar consumption throughout the whole year rather than focusing all attention on one single day. 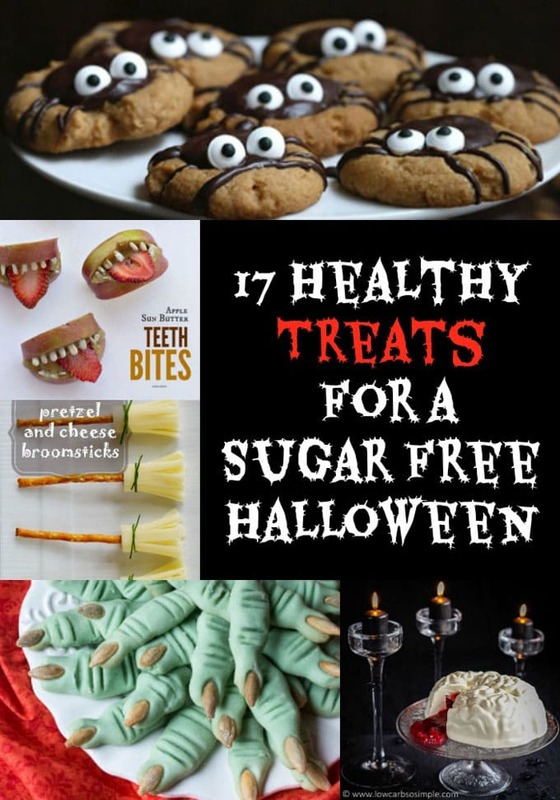 Here’s an idea for you: Why not throw your own sugar free party with healthy Halloween treats? Simply crowd out the junk with healthy Halloween candy, sweets and savoury treats that children and adults will love. How adorable are these little guys? I almost want one as a pet. 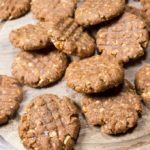 These easy gluten free thumbprint cookies are made with a good measure of peanut butter, which makes them deliciously soft. 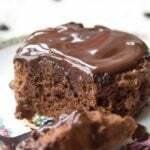 The filling is a rich sugar-free chocolate ganache. Finger-licking goodness! Halloween is probably the only time of year you’d consider eating a bat. So you better make sure it tastes dastardly divine. 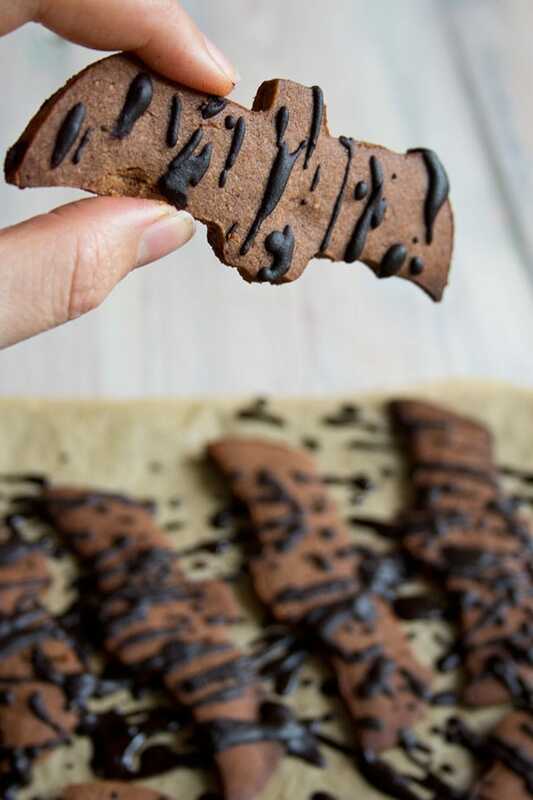 These chocolate cut-out cookies are sugar free, grain free and drizzled with a dark chocolate glaze. 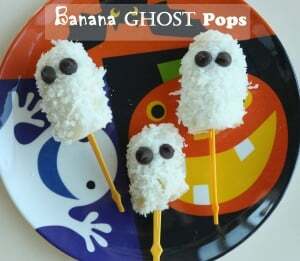 A fun healthy Halloween snack for your party! 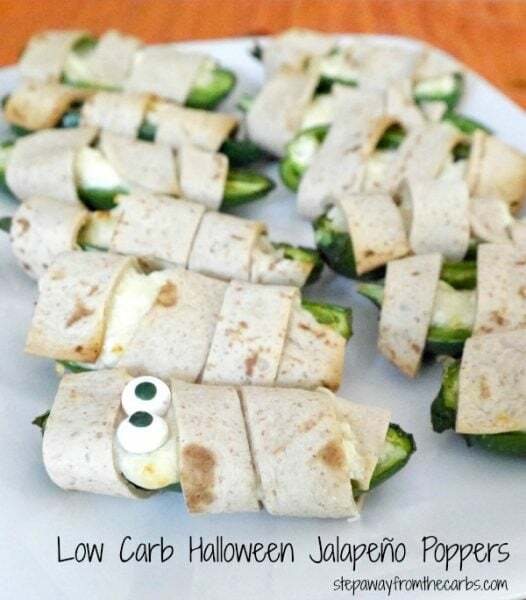 Would you dare eating one of these spooky jalapeño mummies? 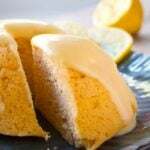 A fabulously rich and creamy treat that will satisfy even the strongest sweet craving. 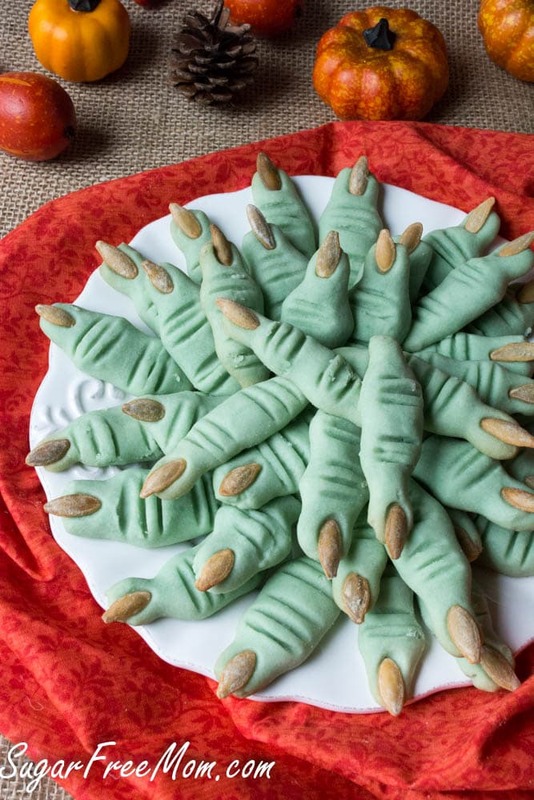 For a healthy Halloween party buffet, cut into small squares and eat with toothpicks to keep your vampire hands clean. You think apples aren’t scary? Think again. 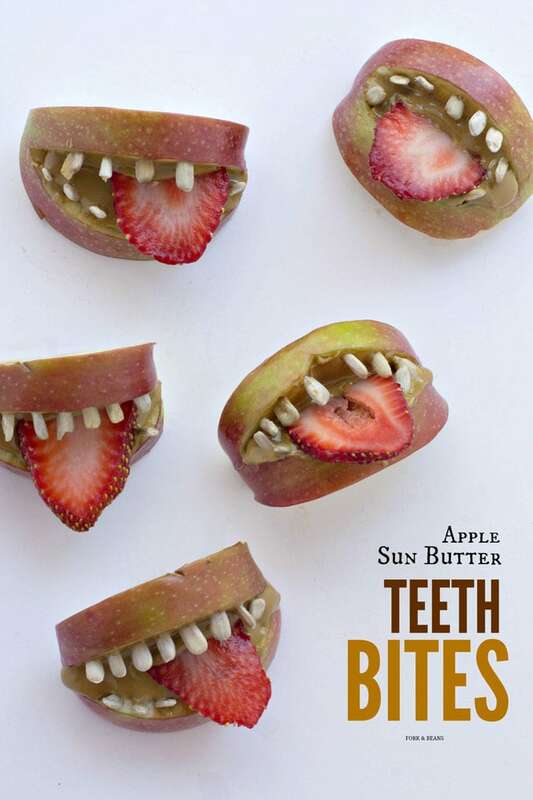 In this crafty creation it’s the sunflower seed teeth and a red strawberry tongue that transform a harmless sliced apple into a truly terrifying healthy Halloween snack. Halloween treats don’t have to be sweet to be sweet. 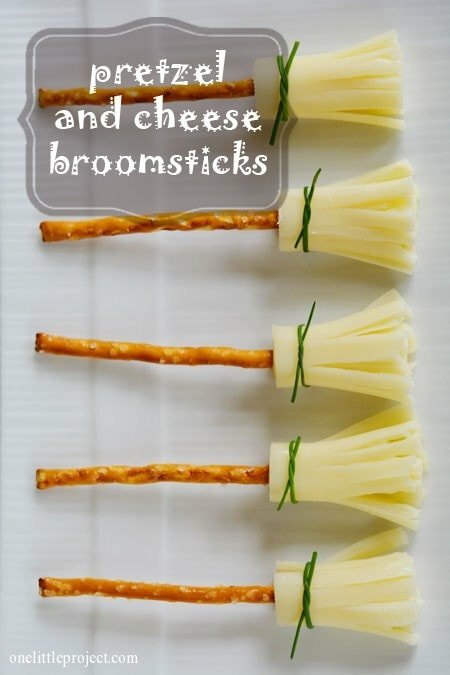 Your kids will love these cheesy broomsticks! 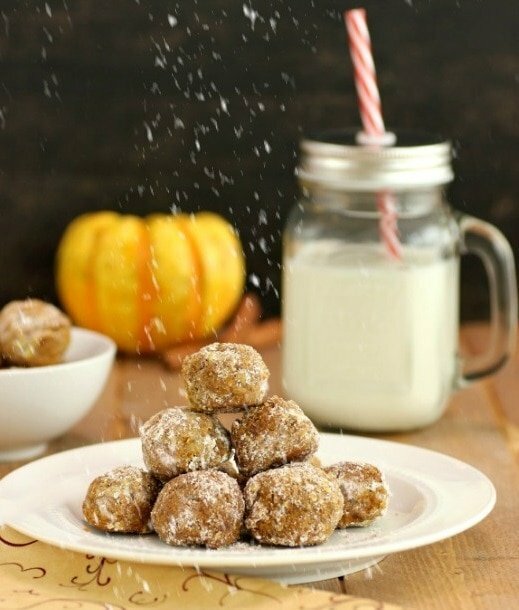 Almond and coconut flour are the base of these gluten free pumpkin spiced cookies – bite-sized morsels that won’t give you a sugar rush. With their icky green colouring and pointy pumpkin seed nails these sugar free cookies are perfect healthy Halloween party food! How adorable is this Halloween fruit idea? 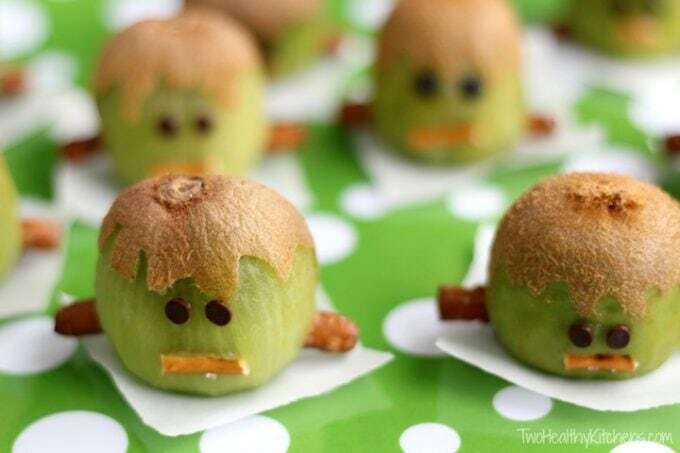 In this great little craft project you turn a Kiwi into a cute mini-Frankenstein – the hairstyle is up to you! It’s the sugar free coconut butter glaze that makes these cut out Halloween ghost cookies so moreish. 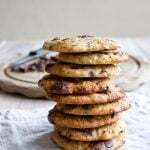 You could even give them eyes with chocolate chips or dried blueberries! 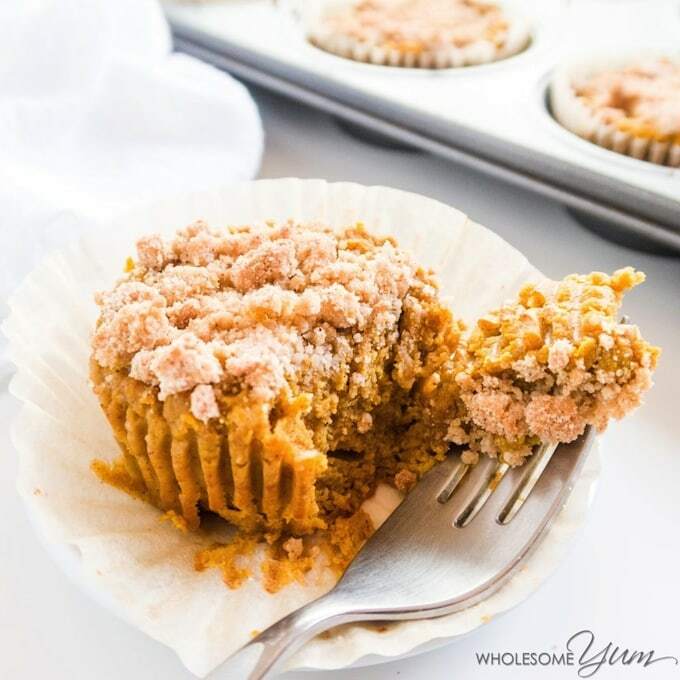 Get your werewolf teeth stuck into these mini pumpkin pies topped with cinnamon crunch. 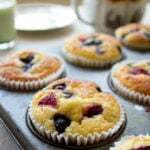 They require only ten minutes of prep and are sweetened with the natural sugar alternative erythritol. 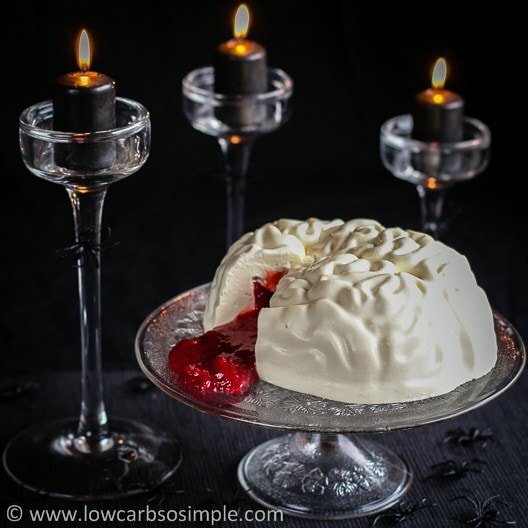 This would be the crowning gory glory of any sugar free Halloween party: a wiggly vanilla gelatine brain filled with sugar free strawberry jam. What a bloody brilliant idea. 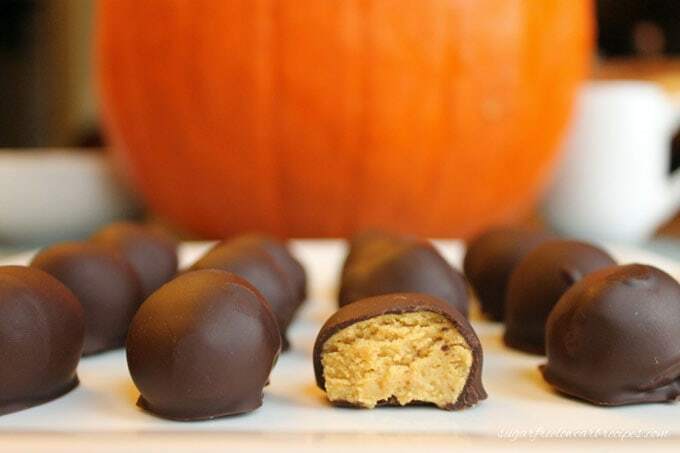 The combination of peanut butter and chocolate is always irresistible: these sugar free pumpkin-shaped candies are the perfect healthy Halloween party food. The base for this healthy Halloween treat is frozen banana. The recipe is so easy that even small children will enjoy helping you assemble them. Let me warn you now: They are not going to want to share. Make a double portion to ensure you don’t miss out on biting the head off your very own ghost. Get ready for some serious autumn flavours: These low carb and sugar free truffles have a soft pumpkin ganache centre. Decorate with some plastic spiders or flies to sufficiently disgust your Halloween party guests. 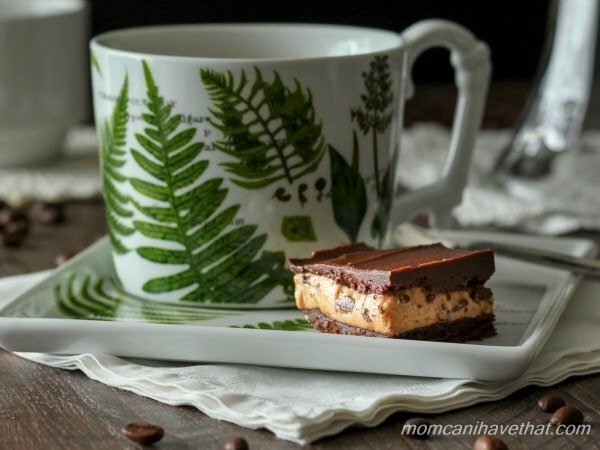 Who needs the real deal when you can have a homemade Snickers bar that is sweet without sending your blood sugar sky-high? 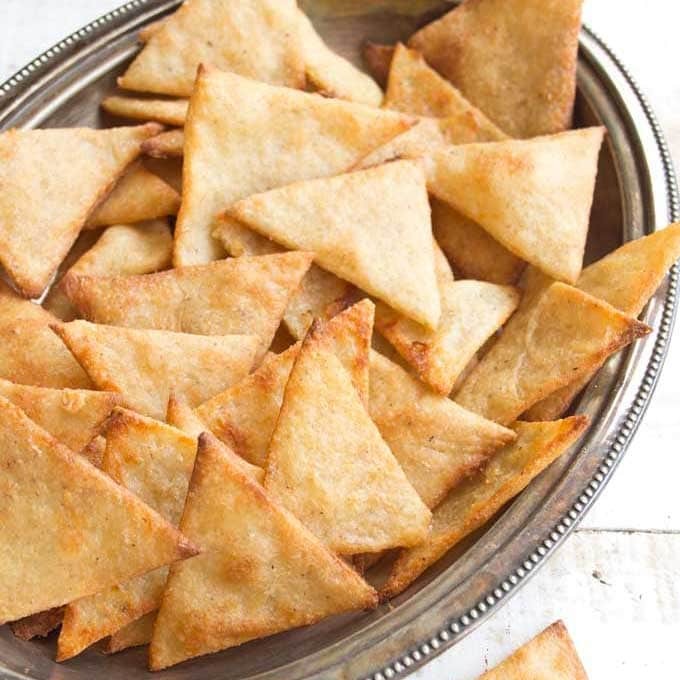 If you’ve got some Halloween-themed cookie cutters lying around, try out this snack idea: homemade cinnamon-spiced sweet tortilla chips. 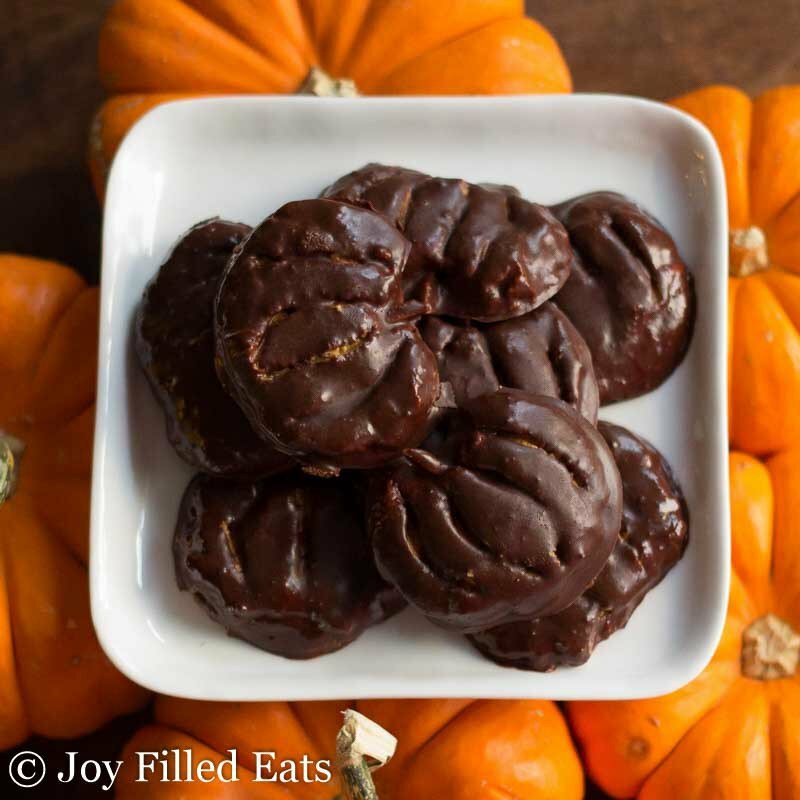 Crunchy, buttery and perfect for a completely sugar free Halloween. Enjoy! Great collection of treats! I’ll be trying a few – thank you for the inspiration. 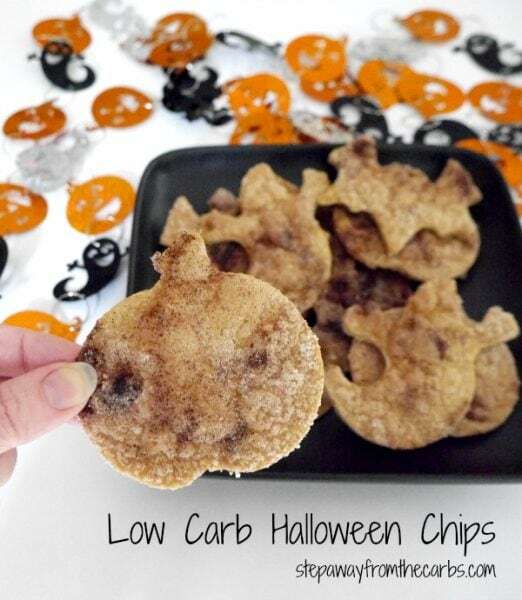 What great sugar free, low carb, ideas you have here for Halloween! They all look so fun to make and eat. And I love your bat cookies 🙂 . Pinning! 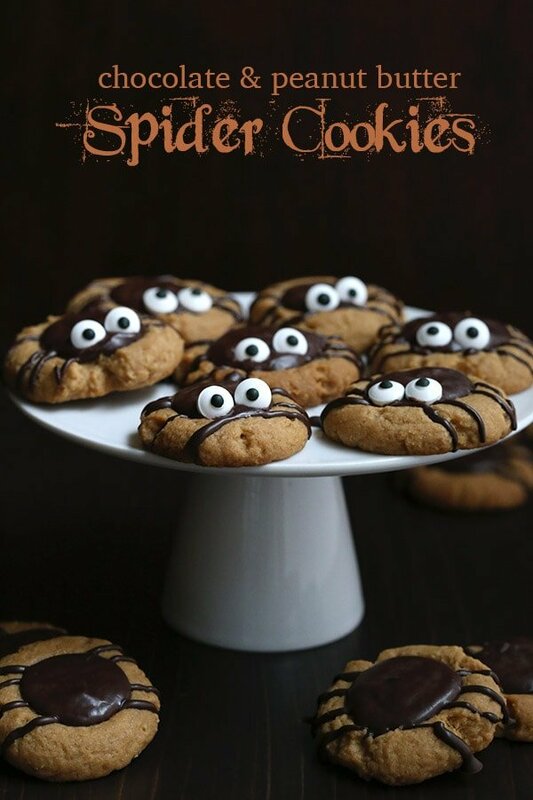 So many adorable ideas, and I just love that these treats cut WAAAAAY back on all that Halloween sugar! Just proves that Halloween doesn’t have to be all about the candy in order to be Spook-tacularly fun!! What a wonderful collection, Katrin! 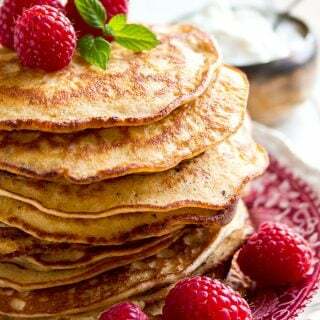 I love especially those Apple Sun Butter Teeth Bites. What a fun idea! We have tons of apples and all the other ingredients too, so we will definitely prepare those with my son. 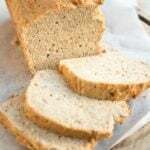 Thank you for including my brain recipe! Awesome collection! 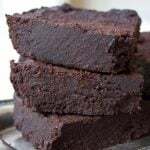 Thanks for including my truffle recipe. I need to start making my Halloween treats. Such a cute Halloween treat round up. My kids would love these, especially the creepy ones. Haha! My daughter got totally grossed out by the apple teeth, which means mission accomplished. I had a supermarket delivery only this morning, with 6 slabs of Kerrygold for my morning coffee. 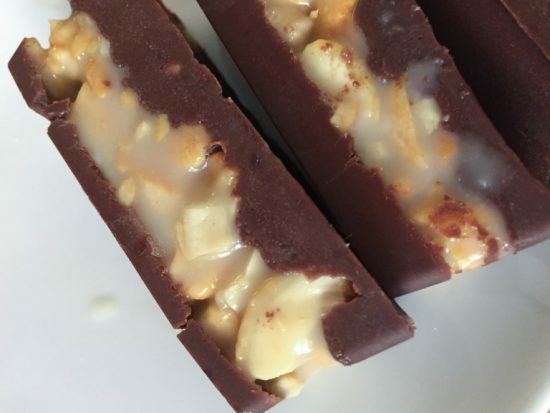 I think one has to be set aside for peanut butter fat bombs. This roundup is so stinkin’ cute! 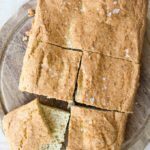 Thanks for including my recipe. My kids thought the apples with the “teeth” were especially great for Halloween! So great. Thanks. Sarah, I’ve always loved Snickers. It HAD to be there!